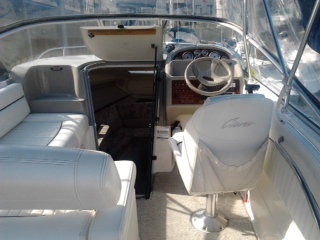 Home » Motor Boats » Classic Motor Boats » Cierra 2355 four berth motor cruiser. 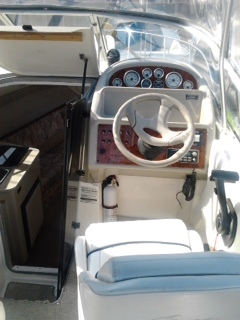 1999 Cierra 2355 four berth motor cruiser. 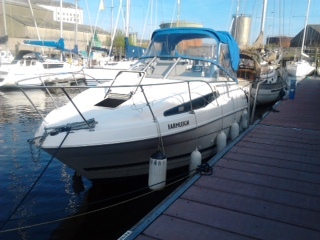 This boat is now moored in Waterford boat yard and the excellent condition of the boat can be verified by the boat yard. 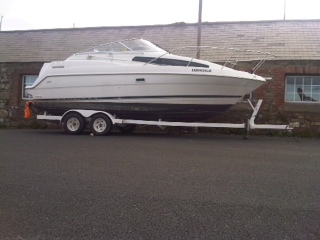 The boat can be lifted on to the trailer or moored in Waterford. 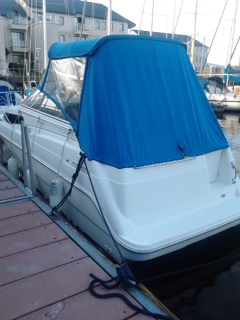 Beautiful condition and with brand new head on 5 litre mercruiser engine. Four berths, toilet, sink, outside shower, cooker, microwave oven, fridge, stereo system, dining table, lots of storage compartments. 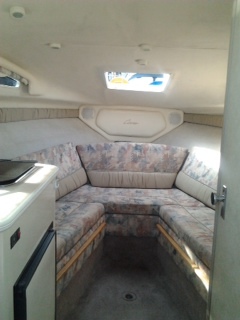 All leather seating, sun lounger, seats swivel to suit direction required. 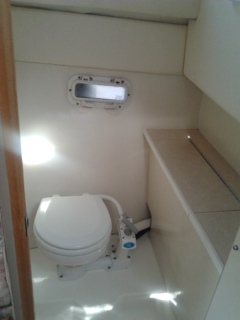 Dining table, full canopy, swimming platform, six brand new life jackets, Tv / Dvd, Boat comes complete with trailer.